What does it mean to be a doctor? Every year, thousands of medical school graduates utter these four simple words. But as you will see in Playing God, earning an M.D. is just the first step to becoming a real physician. 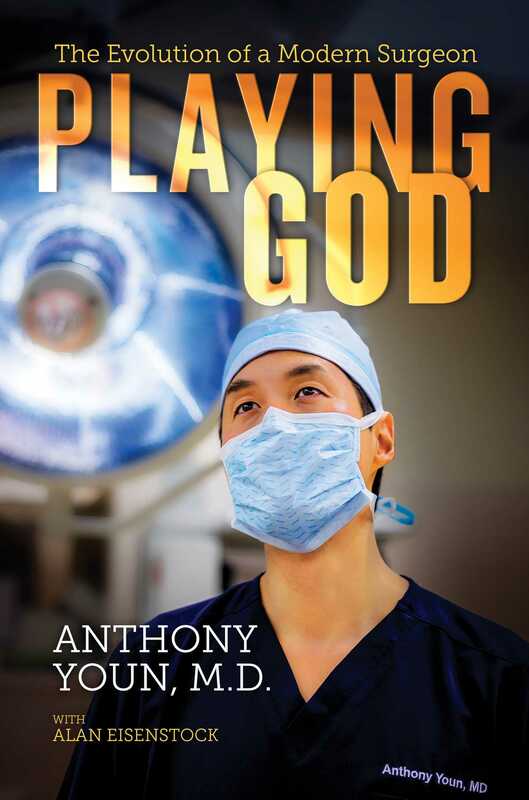 In this page-turning, thrilling, and moving memoir, Dr. Anthony Youn reveals that the true metamorphosis from student to doctor occurs not in medical school but in the formative years of residency training and early practice. It is only through actually saving and losing patients, taking on the medical establishment, wrestling with financial and emotional survival, and fighting for patients’ lives that a young doctor becomes a mature and competent physician. In Playing God, you will take a journey through the world of surgery, hospitals, and the practice of medicine unlike any that you have traveled before. "I thoroughly enjoyed this book. Dr. Youn's unique insight will make you laugh, cry, shake your head, and recoil while wanting more." – Paul Ruggieri, MD, Author of "Confessions of a Surgeon"
"A riveting look at what it takes to become a premiere surgeon in today's wild west of medicine. Dr. Youn has written a moving and humorous memoir that is a must-read for medical students, doctors, and anyone interested in the fascinating world behind the clinic curtains and the operating room doors." – Dr. Andrew Ordon, MD, FACS, board-certified plastic surgeon and co-host of the Emmy Award-winning show, "The Doctors"
"Part Botched, Part Grey's Anatomy, my good friend Dr. Tony Youn has written a fun and fascinating book that reveals what really happens behind the OR curtain. This is the rare medical memoir which doesn't take itself too seriously, but gives you the straight scoop on what it takes to become a top surgeon in today's crazy world of medicine. I loved it." – Dr. Sandra Lee, aka "Dr. Pimple Popper," board-certified dermatologist and author of "Put Your Best Face Forward"